A scrub to smooth and tone the skin. It’s good to glow! 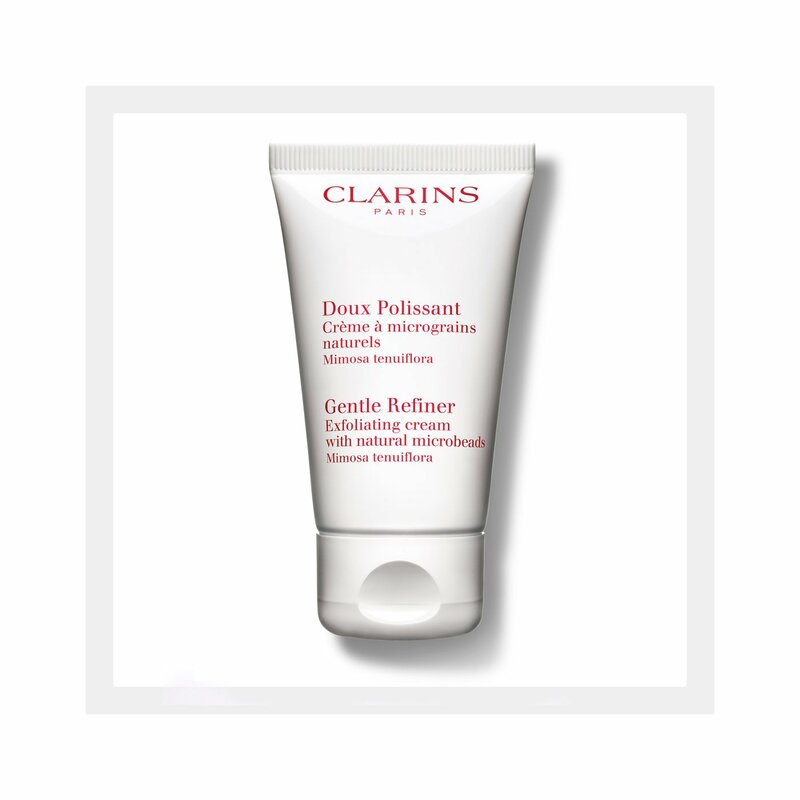 Clarins dual-action natural microbeads—with soothing Mimosa extract— makes a clean sweep of dull, flaky surface cells while tightening pores and preparing skin for natural renewal. Skin emerges fresh, smooth and refined. Applying this exfoliating cream twice a week delivers the most radiant results. Apply once or twice a week to clean, damp face and neck. Avoid the eye contour. Massage in with a gentle circular motion. Rinse off with warm water, then apply a lotion suitable for your skin type.